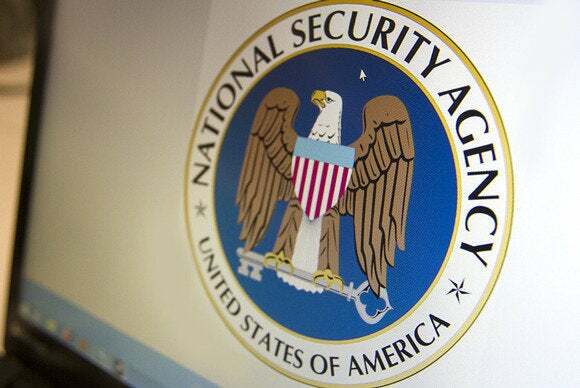 The U.S. National Security Agency should have an unlimited ability to collect digital information in the name of protecting the country against terrorism and other threats, an influential federal judge said during a debate on privacy. “I think privacy is actually overvalued,” Judge Richard Posner, of the U.S. Court of Appeals for the Seventh Circuit, said during a conference about privacy and cybercrime in Washington, D.C., Thursday. Congress should limit the NSA’s use of the data it collects—for example, not giving information about minor crimes to law enforcement agencies—but it shouldn’t limit what information the NSA sweeps up and searches, Posner said. “If the NSA wants to vacuum all the trillions of bits of information that are crawling through the electronic worldwide networks, I think that’s fine,” he said. Posner criticized mobile OS companies for enabling end-to-end encryption in their newest software. “I’m shocked at the thought that a company would be permitted to manufacture an electronic product that the government would not be able to search,” he said. Other speakers at Thursday’s event, including Judge Margaret McKeown of the U.S. Court of Appeals for the Ninth Circuit, disagreed with Posner, saying legal limits on government surveillance are necessary. With much of U.S. privacy law based on a reasonable expectation of privacy, it’s difficult, however, to define what that means when people are voluntarily sharing all kinds of personal information online, she said. An expectation of privacy is a foundational part of democracies, said Michael Dreeben, deputy solicitor general in the U.S. Department of Justice. Although Dreeben has argued in favor of law enforcement surveillance techniques in a handful of cases before the U.S. Supreme Court, he argued courts should take an active role in protecting personal privacy. David Cole, a professor at the Georgetown University Law Center, called for a change in the U.S. law that gives email stored for six months less legal protection than newer messages. The ability of law enforcement agencies to gain access to stored email without a warrant makes no sense when many email users never delete messages. U.S. courts or Congress also need to reexamine current law that allows law enforcement agencies to gain access, without a warrant, to digital information shared with a third party, given the amount of digital information people share with online services, he said. Some recent court cases, including the Supreme Court’s 2014 Riley v. California ruling limiting law enforcement searches of mobile phones, have moved privacy law in the right direction, he said. Posner questioned why smartphone users need legal protections, saying he doesn’t understand what information on smartphones should be shielded from government searches. “If someone drained my cell phone, they would find a picture of my cat, some phone numbers, some email addresses, some email text,” he said. “What’s the big deal? Smartphones can contain all kinds of information that people don’t want to share, including medical information, visits to abortion doctors and schedules for Alcoholics Anonymous meetings, Cole said. “Your original question, ‘what’s the value of privacy unless you’ve got something to hide?’ that’s a very short-sighted way of thinking about the value of privacy,” he said. In the 1960s and ‘70s, government agencies investigated political figures, in some cases, bugging hotel rooms in search of evidence of affairs, Cole noted. Government misuse of surveillance information is still a risk, he said, and smartphones could be a treasure trove of information. The U.S. and other governments have a long history of targeting people “who they are concerned about because they have political views and political positions that the government doesn’t approve of,” Cole said.